There is a new place in town that promises to be a hub of various entertainment and arts activities. It is called 20 Four 7 Entertainment Centre at Kameza in Blantyre. This evening, the place will be hosting a music show by the Wailing Brothers. Our Arts Editor EDITH GONDWE caught up with the manager of the place to shed more light about the place and plans for the future. : When did you open 20 Four 7 Entertainment Centre and what does it offer? : 20 Four 7 Entertainment Centre was opened on September 30 2018. We had a grand show with the Black Missionaries, the Chileka-based reggae group, which was well patronised. Coincidentally, we also celebrated Anjiru Fumulani’s birthday on the same day. We opted for Ma Blacks since they are arguably crowd pullers in Malawi. We had hiccups initially due to some rains, but all in all the launch ended well and on a good note. Mind you this was the first show that 20 Four 7 has organised and hosted and being in our infancy, we were pleased with the outcome. This place is one of the best entertainment places you can dream of in the city of Blantyre. We have a modern bar, we have an events centre and also a restaurant. We have plans of constructing accommodation facilities in the near future to ease the burden of finding accommodation within the community. Our centre is strategically located at Kameza Round-About Chileka stage. There is superb public transport from all parts of Blantyre. As an events centre, we have hosted weddings, engagements, musical shows. The Slashers Band, which has been our regular resident band, and several weekend discos. We are looking forward to hosting the Wailing Brothers today and Ankhoswe Frank Kaunda. : What has been the response from fun lovers in Blantyre? 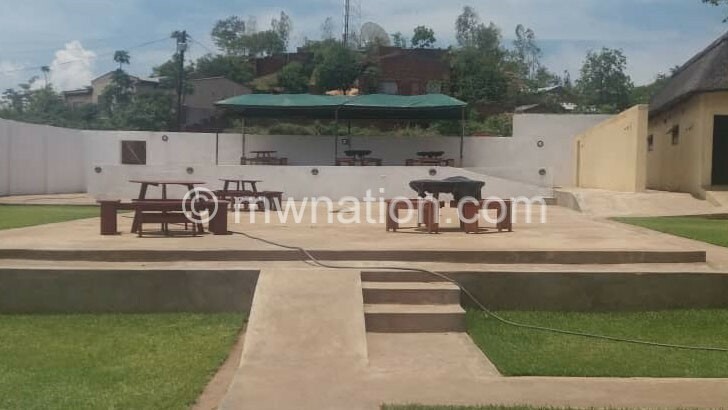 : 20 Four 7 Entertainment Centre has been positively received by fun lovers in Blantyre. As mentioned earlier we have a very smart bar, a beautiful event garden with a possibly the best and biggest stage in the city of Blantyre. Our restaurant, which provides tasty meals, is second to none coupled with good customer care services. As a new brand, we have room for improvements and for your information, the centre is still under construction. : Do you host regular shows? : 20 Four 7 has been hosting live performances with different bands regularly. We would like to involve as many artists as possible as a way of satisfying our clients with different likes and tastes of music. This is another way of exposing the place to the wider community. We will soon have a resident band performing every Friday. The Slashers Band has been our regular partner in providing live performances and we would like to deepen our relationship to another level. As you are aware, Slashers Band is one of the big entertainers on the ground. : Apart from musical shows, what other arts events do you host at your place? 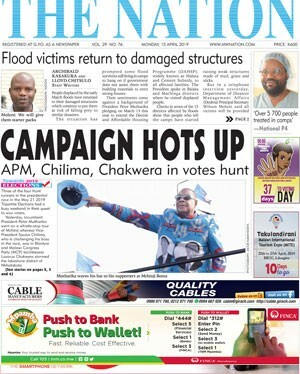 : We have so far hosted two boxing matches; one organised by Malawi Boxing Association [Maba] and an international bout between Agness Mtimaukanena Mwando of Malawi and a Tanzanian opponent which Agness won. We are planning to host traditional dances and various displays soon and not forgetting poetry recitals. : Your place is set to host the Wailing Brothers group today. What’s in store for patrons this evening? : We are very prepared and excited about the impending show by the Wailing Brothers this evening and we would like to encourage all fun lovers to patronise the show. Wailing Brothers as a Band has existed and performed for sometime but I can promise all fun lovers that this will be their best show ever. The presence of Ankhoswe Frank Kaunda will make the show exceptional. 20 Four 7 will be on fire tonight! : Why did you settle for Kameza Round About as the place to construct your enetertainment joint?